For most of my life, I’ve been too proud to ask for help. I always viewed asking for help as a sign of weakness. At some point during my formative years, that was instilled in my head as a way of life. Asking for help has been a very hard lesson to learn, and I still have to rap myself on the knuckles to remember the lessons even today. If I had to go back and do my life over again, I would ask for help sooner, especially as it relates to my business. What were the costs of waiting to ask for help? Wasting my time trying to figure something out on my own, lost revenue, lost time with family, lost opportunities for business growth…you get the idea. Don’t let your pride stand in the way of getting a different point of view to help you move forward in your business. That’s why I offer Profit Sparker Sessions. This is the best way to get answers, strategies and “how-tos” that will work for your business without committing to a long-term relationship. 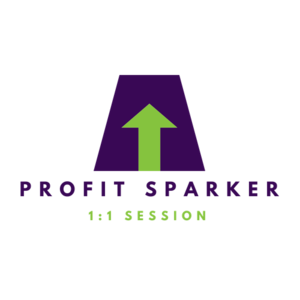 What’s included in your Profit Sparker session? a questionnaire so you can define exactly how you want to spend our time together.